WHAT once seemed impossible to start has begun, what was once a habit that seemed impossible to change has started to turn around. 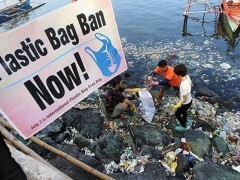 And it all started when Yeo Bee Yin announced her "break-up" with single-use plastic in September 2018. As a researcher working in biodegradable materials, I know that the Energy, Science, Technology, Environment and Climate Change Minister's initiative could lead to a greener Malaysia. Greener Malaysia does not only mean more trees in the country but also less harm and pollution caused by the non-degradable single-use plastic materials. There will be less single-use plastics consumed, thus leading to a greener place to live in. Single-use plastics are highly sought after for their durability, cheapness and convenience. We basically do not need to think of clean-up when drinking from a plastic bottle or when buying curry puffs in plastic bags and throwing the bags away without thinking. We must realise that what is convenient for us is actually harmful to the environment. We do not want future generations to deal with the waste that we are producing now due to our negligence. I was very thrilled to see one state after another taking up the plastic straw ban, as reported in The Star on Feb 16 ("For the sake of environment"; online at bit.ly/star_ plastic). Could we become a zero single-use plastic nation one day? There should also be sustainable and environmentally friendly materials to replace plastic straws and bags. There must be a replacement for a ban. This is the time for local innovators to bring forward their inventions!